Patrick T. Sheehan is a tax attorney and former Special Assistant United States Attorney with the Internal Revenue Service, Office of Chief Counsel from 1987 to 1991. He litigated extensively in Federal Court including the United States Tax Court. While an attorney for the IRS, Patrick recommended the acceptance or rejection of Offers in Compromise at the IRS District Counsel level. Patrick graduated from Loyola University School of Law in 1987 and returned to serve as the Director of the Loyola Student Federal Tax Clinic from 1991 to 1999. Patrick was sworn into the United States Supreme Court Bar in 2007. His law practice was founded in 1991 and focuses exclusively on the resolution of federal and state tax disputes with the IRS and the Illinois Department of Revenue. Patrick has extensive experience and has trained his staff in IRS and IDR collection matters including installment agreements, wage levies, bank levies, tax liens, business taxes, Offers in Compromise and home and business seizures. 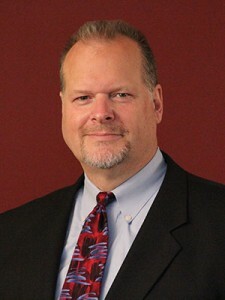 He has over 27 years of experience assisting individuals and businesses with their tax problems. Patrick is also a published author and has been retained as an expert witness in several tax cases. He started Hops for Humanity, a local a 501(c)3 non-profit organization, which has raised over $100,000 to date for local charities.